Dear Starbucks: thank you for existing. 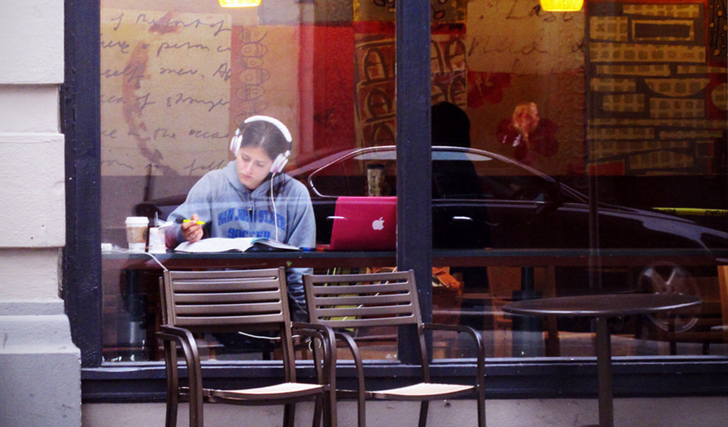 Not for your overpriced smoothie-coffee or your approachable yuppie atmosphere. No, thank you for being a Wi-Fi-soaked escape from my rural family's home during the holidays - T-Mobile service is still crappy out there. 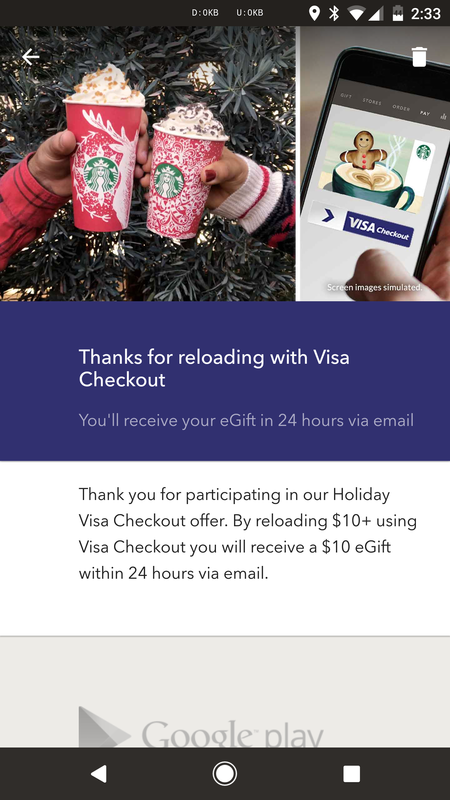 And while I'm extending some holiday thanks, I might as well give a shout-out to Visa, which is giving Starbucks customers $10 of free credit via the Starbucks app. That's approximately 2.5 Frappuccinos. 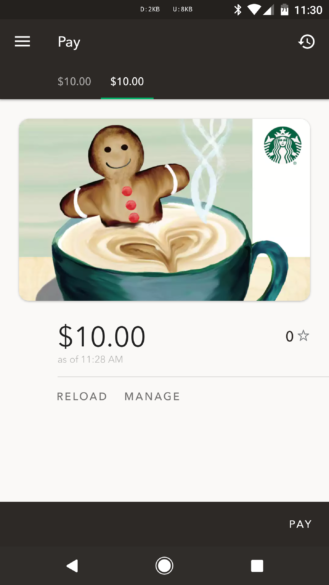 To get your ten bucks of free coffee, you'll need three things: some flavor of debit or credit card, a working Visa Checkout account (it's like PayPal), and the Starbucks app with an associated Starbucks reward account. Load up $10 worth of credit into the Starbucks app with your card using Visa Checkout, and you'll get $10 on the house. The promotion starts today and ends at midnight Pacific on December the 22nd. The credit should show up in your Starbucks app (which is also what you use to check out at the counter) within a day. Customers can put in as much money as they like via Visa Checkout, but $10 is necessary for the bonus credit and it doesn't get any bigger with any extra money. After that you can go back to paying for coffee with cash or a card swipe, like some kind of shuffling Neanderthal in a Christmas sweater.